Lorraine’s career started in 1977 in the banking industry, moving from Teller to Manager in 4 years. She started school to become a Certified Medical Assistant in 1984, which consisted at that time of 6 months classroom and 6 month clinical in a hospital. Her first medical position was in 1985 as a receptionist part-time and back office part-time. She thoroughly enjoyed the business side of medicine and was promoted to Office Manager in one year. In 1991, Lorraine was hired with FHP (an HMO with Corporate Office in Orange County, CA) managing their medical practice in Green Valley, AZ. Within two years, the practice moved from a 4,000 sq. foot facility to a 24,000 sq. ft. facility with 9 departments: Optical/Optometry, Dental, Lab, X-Ray/Mammography, Pharmacy, Urgent Care and Primary Care. Lorraine was given a letter of appreciation from the CEO of the Corporation when he made a surprise visit and found the Center and Personnel in outstanding order. She was promoted to Director of Operations over the Arizona region and was the “go to” person for opening new centers in Mesa, Ahwatukee, Chandler and Tucson, and built an amazing team of people throughout this process. Her husband was then offered an opportunity to purchase a business, moving the family to Idaho. 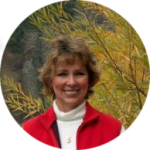 There Lorraine was the Practice Administrator of a Family Practice Office with 6 physicians and was instrumental in developing a North Idaho Health Network which is still in business today. In Boise, Idaho she was hired to run 8 centers as a regional director and subsequently was given all 13 centers and promoted to COO due to her performance and improvement of problem centers. Your Solutions Now LLC was founded in 2008, initially working with Medical Practices through Washington in issues of HR, Practice Management, Business Plans, and Strategic Plans and preparing practices/ASC for accreditation. In 2010, Lorraine started working with Beth Chase and pregnancy centers across Washington and Oregon to assist them in the preparation to obtain accreditation through AAAHC. Since that time she has worked with many pregnancy medical centers in preparing them for accreditation, assisting them in raising their standards and ensuring they are on solid ground to minimize risk. Her commitment to the Pregnancy Centers comes from a deep appreciation and love of the change each clinic can make in other’s lives and the number of lives saved due to its mission and vision. In 2013, Lorraine opened Achieving Accreditation, LLC to cater to the Surgical/Medical Practices and to keep it separate from Your Solutions Now LLC. In 2010 her business was 90% Surgical/Medical Clients/10% Pregnancy Medical Centers. Today it is 70% Pregnancy Medical Centers/30% Surgical/Medical Clients, which makes her very happy. Enjoy the outdoors, reading, playing board games, interior design and nature.